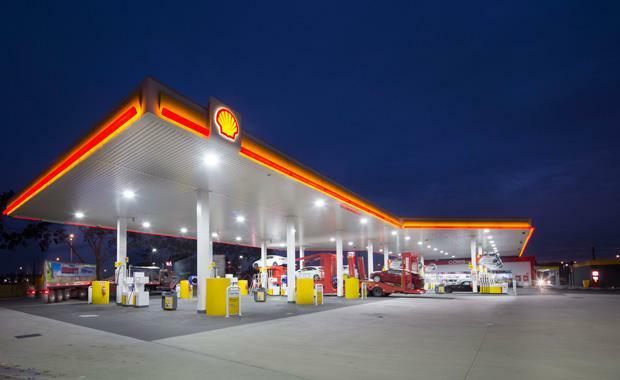 MAB Corporation has sold a state-of-the-art service station and convenience store complex on Melbourne’s West Gate Freeway for $22.5 million on a yield of 5.5 per cent in the largest sale of a petrol station anywhere in Australia for more than 10 years. Selling agents, Savills Chris Jones, Clinton Baxter, and Ben Hegerty and Dawkins Occhiuto’s Andrew Dawkins and Walter Occhiuto, said the marketing campaign generated strong international and local interest with the purchaser a Melbourne based private investor. "In addition to numerous local bids, we also generated multiple offers from Asia and Europe, with purchasers particularly driven by the property’s enviable and unique position on the West Gate Freeway, one of Australia’s busiest roads. "It was an opportunity that rarely comes to market and unlikely to be repeated given the dearth of similar sites and properties offering such strong locational advantages,’’ Mr Jones said. Mr Baxter said investor interest was also driven by the state-of-the-art facility and the first rate tenancy profile offering stable long-term cash flow. "The property offered investors a brand new state-of-the-art facility with maximum depreciation benefits to complement the strong income from A-grade tenants Shell, Hungry Jacks and Red Rooster,’’ Mr Baxter said. He said the property also offered low projected capital expenditure and a tenancy diversity which minimised risk profile. "It really ticked all the boxes of a superb commercial investment,’’ he said. According to Mr Occhiuto the 62 Cook Street, Port Melbourne property, which was constructed and opened earlier this year, also offered investors very strong underlying land value. He said the property was sold subject to leases to Viva Energy Australia (Shell/Coles Express), Hungry Jack’s and Red Rooster on 15 year terms, for a total net income of $1.41 million. Developed by MAB the brand new complex comprises nearly 700 square metres of buildings, 1200 square metres of canopy and 57 parking spaces on a huge 10,000 square metre site with frontages to the West Gate Freeway and Cook Street providing exposure to more than 180,000 vehicles per day. Mr Jones said the location on the West Gate Freeway and Cook Street provided the complex with unparalleled exposure to what is a rapidly expanding business catchment driven by the most dynamic commercial development region on Melbourne’s CBD fringe. "The region includes Fishermans Bend - Australia’s largest single urban renewal redevelopment project – and the expansion of the Melbourne Ports precinct, both of which will add significantly to business activity and of course traffic movements,’’ Mr Jones said.